Improvements are continuing at Shortland and Tararu Cemeteries. In this instance it is new signage at the entrance to the two historic burial sites. While in the first instance the entrance signs have been placed in challenging positions, they are at least in place. 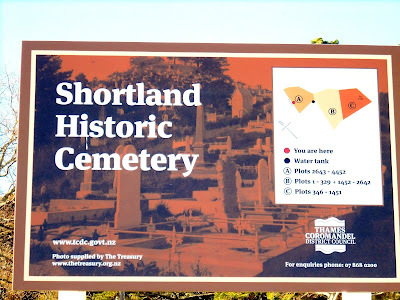 The new signs at the Shortland Historic Cemetery include a map that shows how the cemetery is divided into three sections and gives plot numbers contained in each block. 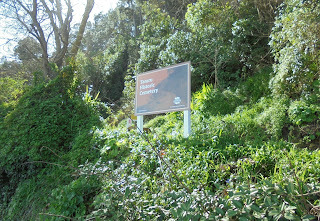 ABOVE: Close-up of the sign at the Danby Street entrance to the Shortland Historic Cemetery. 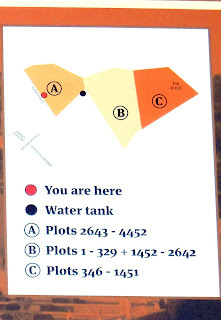 BELOW: The map and plot section on the sign (left) and the sign taken from the footpath (right). There should be some official news on the proposed 'Friends of the Historic Cemeteries' in the near future. Hopefully this makes us all more conscious of the state of these great landmarks and allow volunteers to get in and make some improvements - assisting the great work done by volunteer Graeme. Shortland and Tararu Cemeteries of Thames by Margaret Nankivell. Treasury Journal Volume 2. 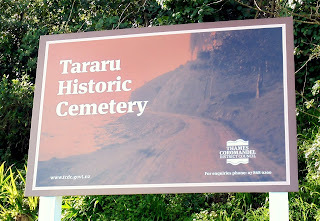 Tararu Cemetery - What secrets and stories does it hold? by Althea Barker. Treasury Journal Vol 5. TCDC Cemetery Information and Search of Burials. 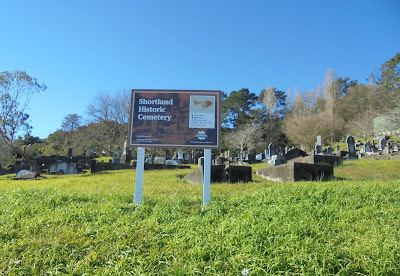 Findagrave - location and plot details, some with photos: Shortland, Tararu and Totara Cemeteries.